Free mango jellies on Election Day! Ha that got your attention! 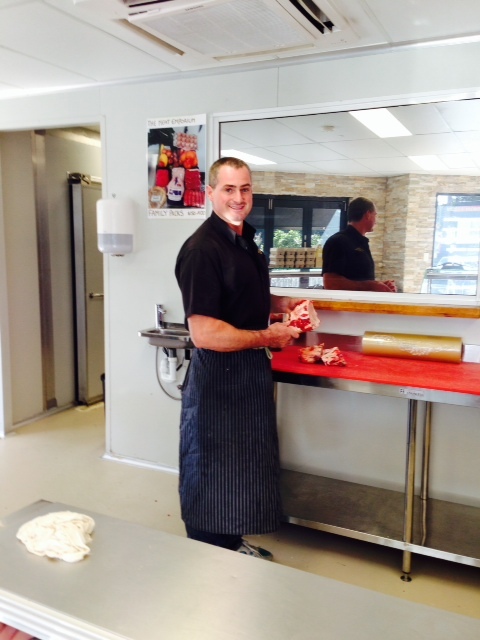 This Saturday I will be outside The Meat Emporium Butchers right next door to the clinic in Elanora Heights from 10-12. 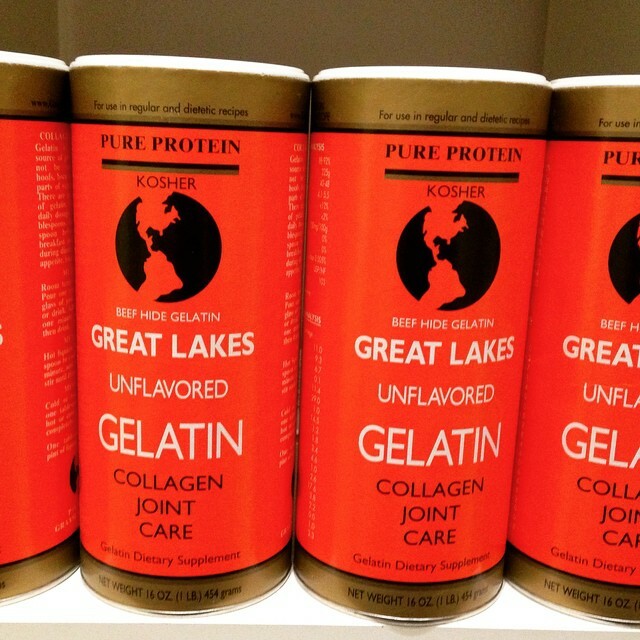 I will be GIVING away free Mango Jellies made with Great Lakes Gelatin from pasture fed cows and rich in collagen. 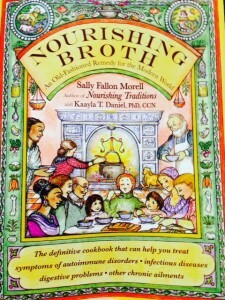 The popularity of bone broths is huge at the moment. That old fashioned way of using the bones left over and then boiling them until all the goodness is extracted has now been proven to be beneficial. My mother always referred to Chicken Soup as “Jewish Penicillin” because without fail, whenever one of us was sick Mum would make a big pot of chicken soup. Her response…”They only discovered that now? We have known it for thousands of years!”. It is pretty funny, what goes out of vogue comes back in in a few years time. In the 1950’s a Japanese researcher discovered a new taste called “umami” from a chemical called free glutamic acid in kombu and from there monosodium glutamate or MSG was born. Before long it took the place of good old fashioned stock that housewives would cook every week with left over bones and vegetable scraps. But what these geniuses of the food industry didn’t realize when they told housewives to stop slaving over a hot stove and just buy ready made stock was that they threw the baby out with the bathwater. They removed the best thing about it and replaced it with MSG nowadays carefully disguised as hydrolyzed protein, autolyzed protein, yeast extract and soy protein isolate with the E Number of 621. Soon after its discovery MSG made possible the huge changes that occurred in the Western diet especially after World War 2 and that’s because it gave the food industry a cheap way to imitate broth. Stock cubes today are often made up entirely of MSG rather than actual real stock. But the sad thing is that the real stock we did away with was rich nutrients and was replaced with an entirely man made, artificial list of ingredients more at home in a chemical plant than on our plates. Today we are witnessing an epidemic of chronic disease that is poised to cripple our society – cancer, arthritis, allergies, digestive disorders, mental disorders, life threatening infectious illness. Bone broth is rich in cartilage, collagen and healing amino acids which can protect us against these illnesses, help us recover from them and nourish our lives and our health. 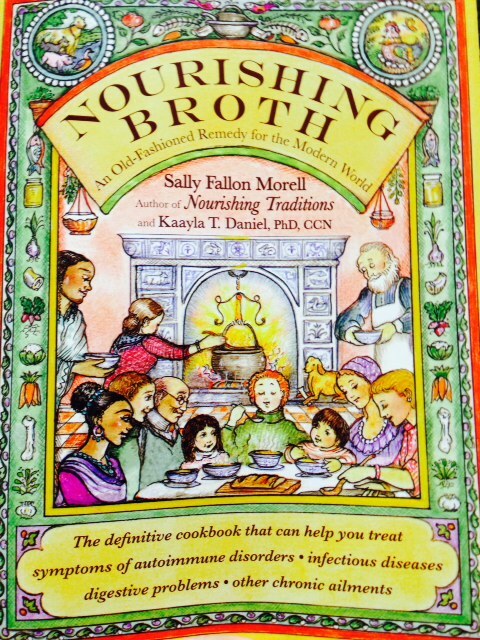 Because of the Paleo and other Wholefood eating movements bone broth has come back into the limelight. All you need are some bones and a slow cooker and you are away! 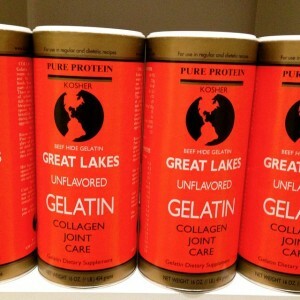 It is rich in dissolved collagen,cartilage, bone and marrow and science agrees in it is indeed nourishing. Broth can give our bones strength and flexibility, our joints resilience, our skin a youthful plumpness! The collagen in bone broth supports heart health with stronger arteries, our vision with healthy corneas, digestion with gut healing and overall disease prevention with immune system modulation. It can even help emotional stability and a positive mental attitude. Daily requirements vary from person to person and they increase with age, disease, physical activity and stress. Brittle hair and nails, underdeveloped musculature, premature skin ageing, osteoporosis, gut disorders and auto immune disorders are sure signs of deficiencies in collagen and other nutrients which can be helped with good old fashioned bone broth. In my clinic as you may know I see a lot of children with allergies, eczema, digestive disorders and food intolerances. After treating the main symptom and alleviating any pain or discomfort, I always want to go deeper to heal the gut. For a Naturopath, the gut IS the seat of health, not only does it digest and assimilate nutrients but it holds 80% of your immune cells, hosts your almost 2 kg of gut bacteria (gut bacteria cells out number body cells) and communicates with your brain. Bone broth is usually better tolerated than supplements and pot of bone stock can be frozen in individual ice cube or muffin trays to be added to soups, sauces, stews, casseroles, stir fries and curries. Literally anything that requires stock. Hopefully I will see you on Saturday morning at 10… I will also hand out free beef and chicken bone broth recipes!